Max travels to British Columbia’s Okanagan Valley expecting to make a quick sale to foreign developers and move on. His life changes as he becomes enchanted with the countryside, the old house, and a firebrand activist named Olive who is hell-bent on stopping the sale. 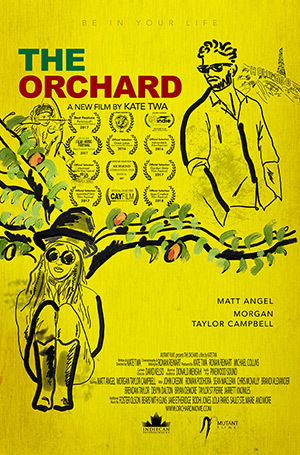 Kate Twa wins Best Director for The Orchard at the Sydney Independent Film Festival! The Orchard wins Best Feature Film at the South Bay Film & Music Festival! Mutant Films does not accept unsolicited submissions. © 2018 by Mutant Films Inc. All rights reserved.